you get the nuts off only to find one of the studs has its threads a bit messed up. 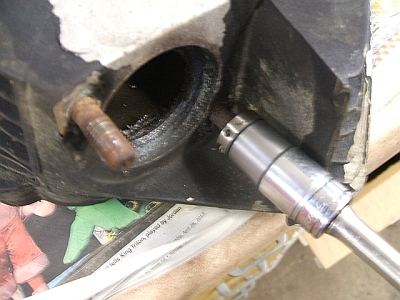 With this tool you can clean up those threads and save the studs. 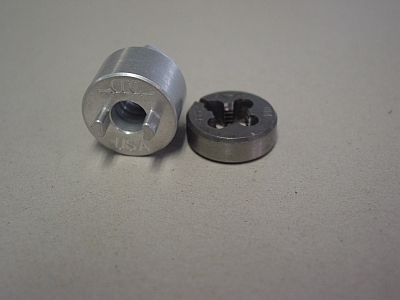 Tool is machined from 6061 Aluminum and works on all Harley exhaust studs. 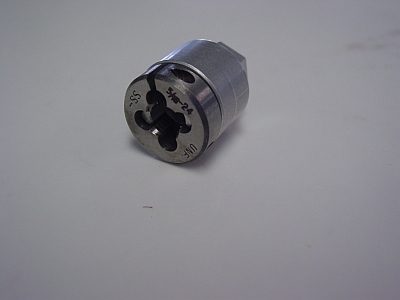 Threading Die is included with tool purchase. 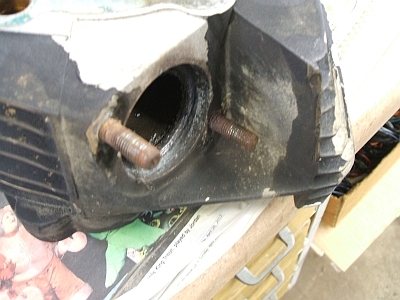 Head with messed up exhaust stud threads. Saving the threads using this tool. you can pay with a PayPal account OR Credit Card through PayPal.